Attaches to velcro strip inside the Zero Messenger Bag family. 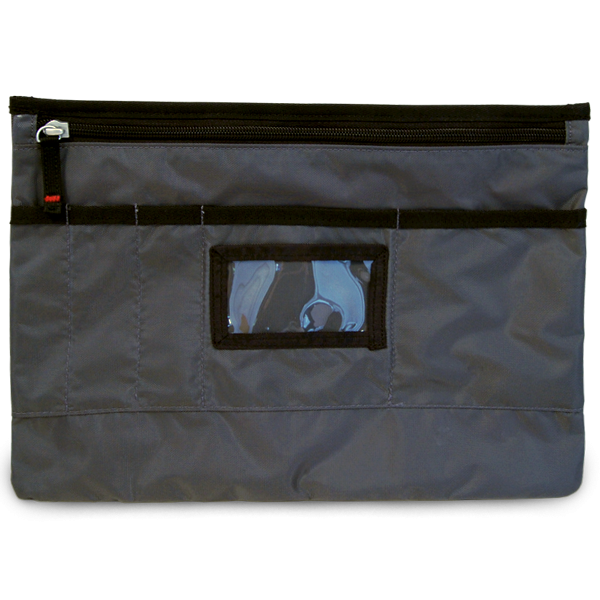 Compatible with Medium and Large Zero Messenger Bags (too large for the Small Zero). 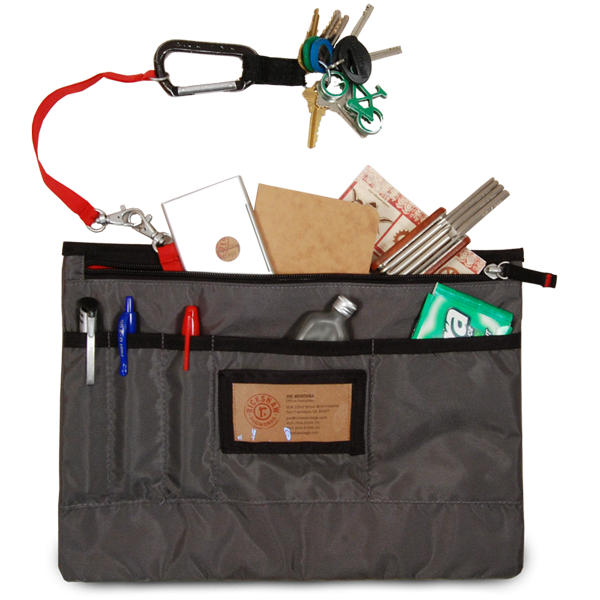 Our super large removable Deluxe pocket attaches securely to the inside of the Zero messenger bag with Velcro. With plenty of places for storing personal items such as your ID, phone, camera, gum, pens and pencils, etc, you'll never leave home without it. 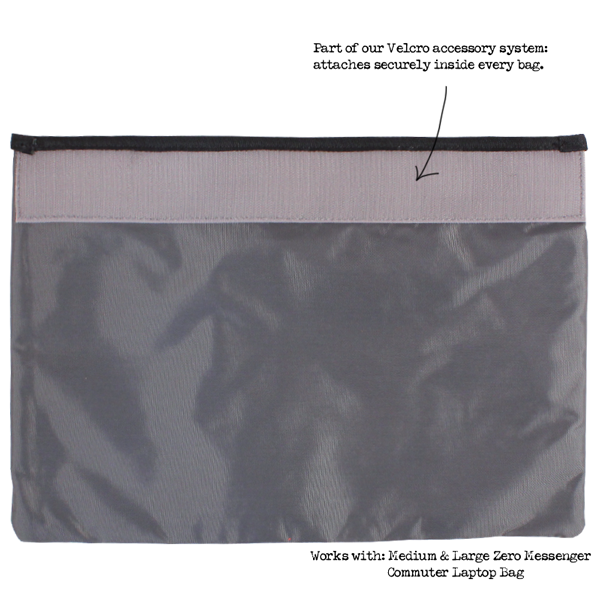 The Large Deluxe Drop Pocket has a zippered closure. "It's not beautiful to look at bu..."
It's not beautiful to look at but I love the Large Deluxe Drop Pocket anyway. It works great for my iPad mini and all the styluses I carry around. There's room for a small sketch book as well and front pen/pencil holders work great for, you guessed it, pens and pencils. They're generously sized so there's room for larger fountain pens. I've only had it a couple weeks, but I"m not sure what I did before. Did I mention it's sturdy? Without the Large Deluxe Drop Pocket, my Med. Zero Messenger bag would be a black hole! I am able to stay better organized and I am not searching and searching for keys, my wallet or my earbuds. It's great that it is removable for times when I don't need this. The Velcro works great keeping everything in place. I would love to see more add-on items to the bags that can be secured internally whether with Velcro or with clips. If you are thinking about one of the Zero Messengers, you gotta get this!